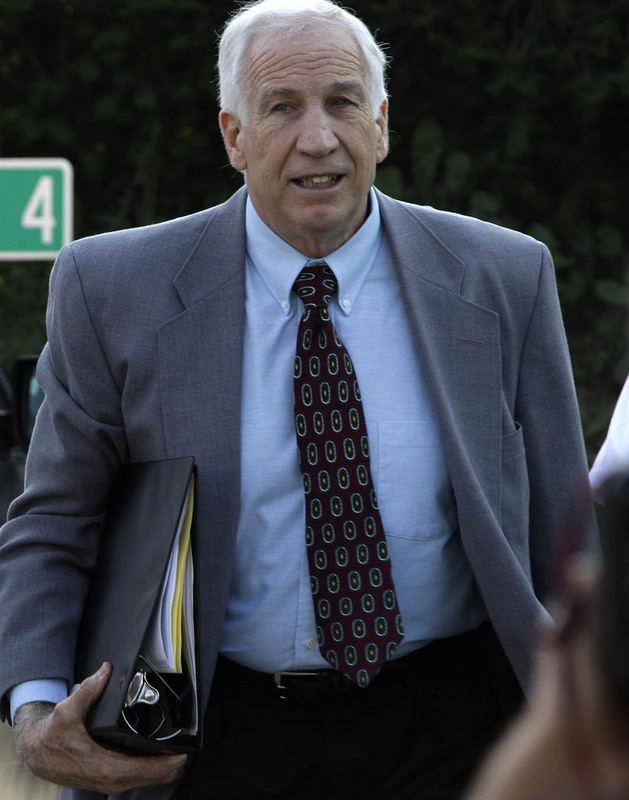 Former Penn State University assistant football coach Jerry Sandusky arrives at the Centre County Courthouse in Bellefonte, Pa., Thursday, June 21, 2012. Sandusky is charged with 51 counts of child sexual abuse involving 10 boys over a period of 15 years. Bellefonte, Penn. – Matt Sandusky, the adopted son of former Penn State assistant football coach Jerry Sandusky, revealed that he too was sexually abused by his adoptive father. As the jury deliberates and presiding judge John Cleland reportedly dismissed three of the 52 counts of child molestation, this other disturbing angle unfolds. According to a live CNN report, Matt Sandusky, speaking through his lawyer, is asking for privacy at this time while admitting he was a victim of molestation at the hands of the former coach. No details were given at this time. The prosecution was supposed to call Matt Sandusky as a rebuttal witness, but his father, Jerry Sandusky, never took the stand. This bombshell revelation comes after Matt had previously supported Sandusky. As for the other developments, how the jury will interpret the dismissed charges and what effect that will have on the outcome is also not known. There are still a whopping 49 charges against Sandusky for allegedly molesting 10 boys over a period of 15 years.